(TibetanReview.net, Feb13’19) – Having failed to take her down with posting of threats and personal attacks, racist slurs, and vulgar words in English and Chinese languages on her Lunar New Year post on Instagram, a group of Chinese students have launched a petition calling for the disqualification of Tibetan student Miss Chemi Lhamo from her election as President of the University of Toronto’s Scarborough Campus Student Union (SCSU). The petition accuses her of “selling miserable stories to students” and questions her involvement in the political arena as a part of Free Tibet group. “She has too much political involvement with that outside group, how would international students feel if they have an SCSU leader criticizing foreign countries?” the petition asks. Chemi Lhamo, a fourth-year students of Neuroscience and Psychology, was the Vice President Equity at SCSU for years before her current election. She will serve as the President of the University of Toronto Scarborough Student’s Union from May 1 once her election is ratified. However, the petitioning Chinese students hope to stop that from happening. “Chinese people of all ethnic groups are firmly opposed to any attempt to split the Chinese territory and sovereignty,” a petitioner named Taryn Tian was quoted as saying, echoing the all too familiar language of her political leaders back home. China labels all Tibetan calls to respect its own constitutional guarantees of human and ethnic group rights and religious freedom as attempts to split the Chinese territory and sovereignty. 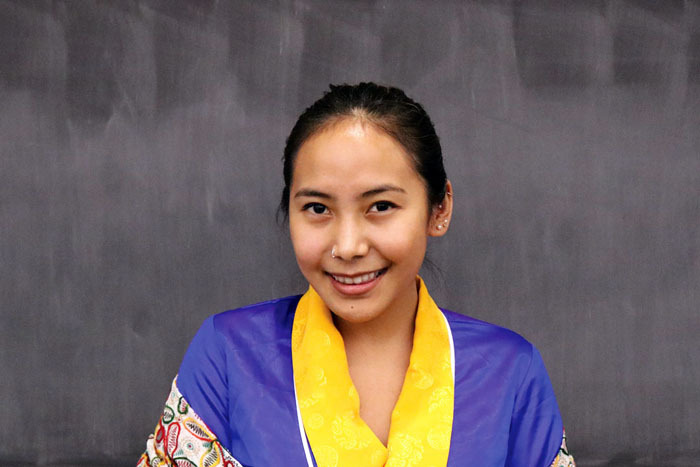 The petitioner’s contentions do not contain any information that was unknown at the time of Lhamo’s candidature and election, as well as when she served as the SCSU Vice President of Equity.